Ladies and Gentlemen, give a warm applause to welcome a friend from the tropics - Chameleon Pop Up Card. 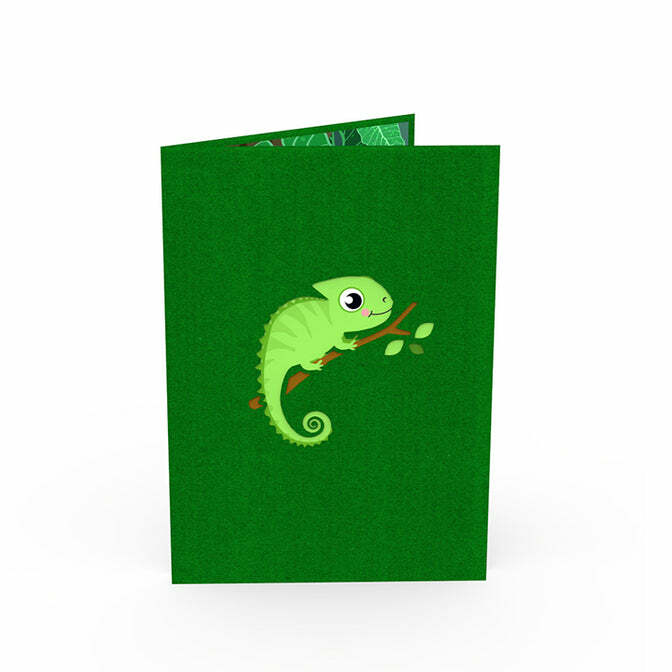 Interestingly, we are sure that you will be fooled by the little, cute chameleon embellished on the cover of the card. And let's see if we are right. Ahhh, like what we said. When you open the card, you will no longer see a little chameleon but instead a giant and cool one in the center of the card. And the background of the card printed with patterns of the jungle will make you feel like you are lost in the tropics. The chameleon is an interesting species, but it seems that many people are afraid to touch them. Our chameleon is not only friendly, but you can also hold it in your lap or even kiss it. We hope that our Chameleon friend from tropics will bring unlimited fun to everyone. 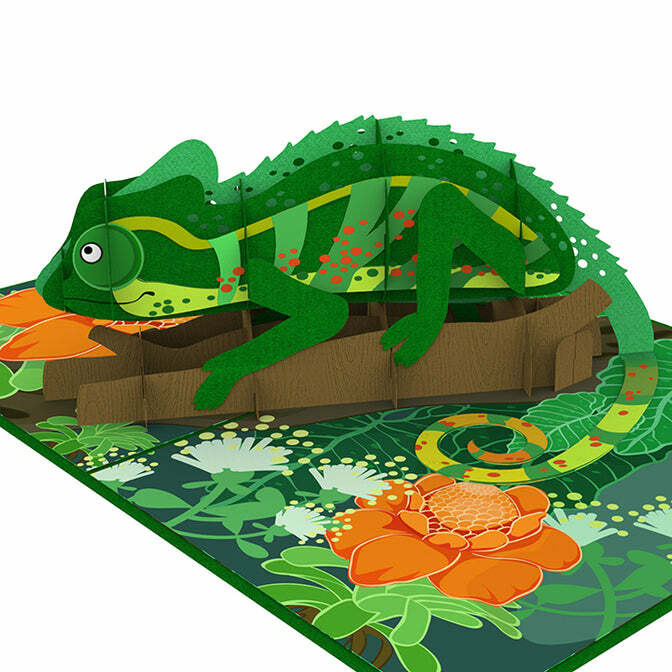 This Chameleon Pop Up Cards has a blank sheet of paper note so let your imagination run wild with uses for this pop-up. It is perfect for many occasions. A reptile-loving relative ahead of their birthday, or to any adventurer who adores the great outdoors; or someone who always wishes to own a chameleon.